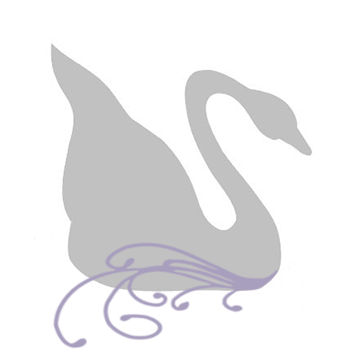 I'm very excited to announce Crystal Allure is helping to raise funds for animals in need. 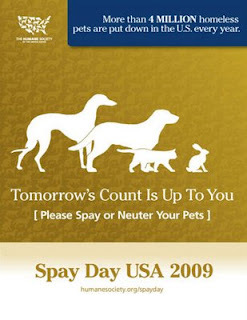 February 24, 2009 is recognized as National Spay Day to raise awareness of the need to spay and neuter our pets, with the goal of reducing the number of homeless pets that are euthanized each year. Together with the Humane Society of the United States, we were offering a fantastic event to help raise money towards this very worthy cause. From February 19th to February 28, 2009, Crystal Allure Designs will donate 40% of the proceeds from any item in the online boutique to the Humane Society in recognition of Spay Day 2009. We will also donate 10% of the proceeds for any custom jewelry order. During this time, when you make a purchase at CrystalAllure.com, your dollars spent will not only bring a little sparkle to your life but will also make a difference in the lives (and quality of life) of many pets around the world. I alone have seven cats...yes, you read that right -seven. All but two were rescues and one is even pushing 18 years old (she's really just trying to beat her deceased brothers ripe old age of 17 years). With each one of our fur-children there is a story and a personality to go with it, but there are many an occasion when it sickens me to think of all the homeless animals out there. Although I regularly donate to a number of animal charities, with this event I am able to take one additional step to helping animals -something I am very passionate about. Please take a moment, check out the online boutique and if something catches your eye, grab it up and at the same time, let your dollars do double duty with a percentage of your sale going to help animals. You have five more cats than I do! Of course you may highlight my cat designs on your blog! Reference away! I would be honoured.